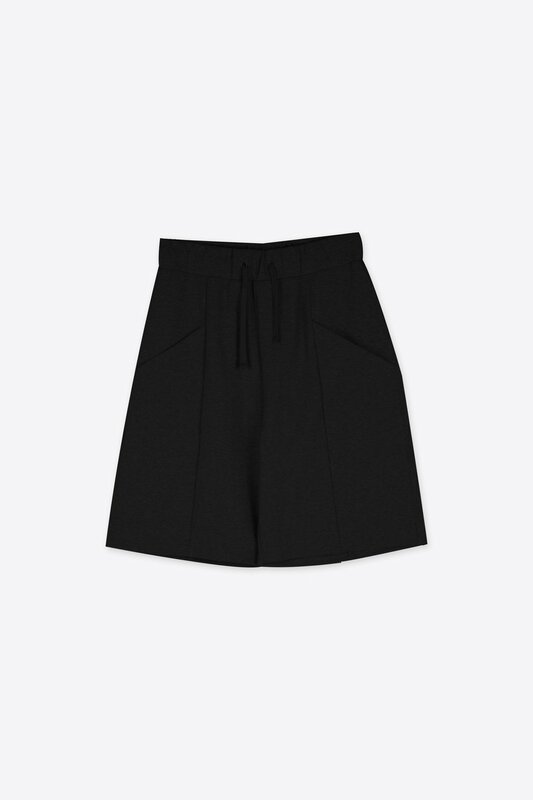 Wonderfully comfortable, these cotton blend shorts feature menswear inspired details and a minimal silhouette. 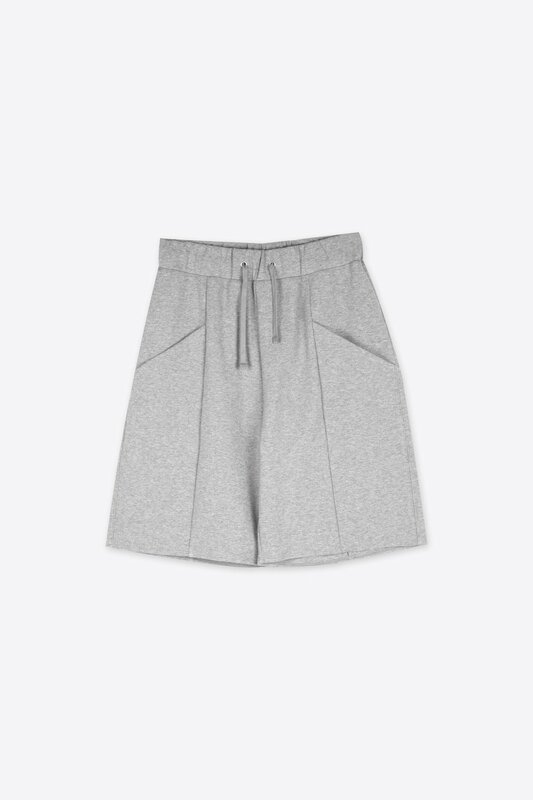 Crafted from a sweatpant-esque material, they feature front diagonal pockets, unique front panels, and elastic waist with drawstring. 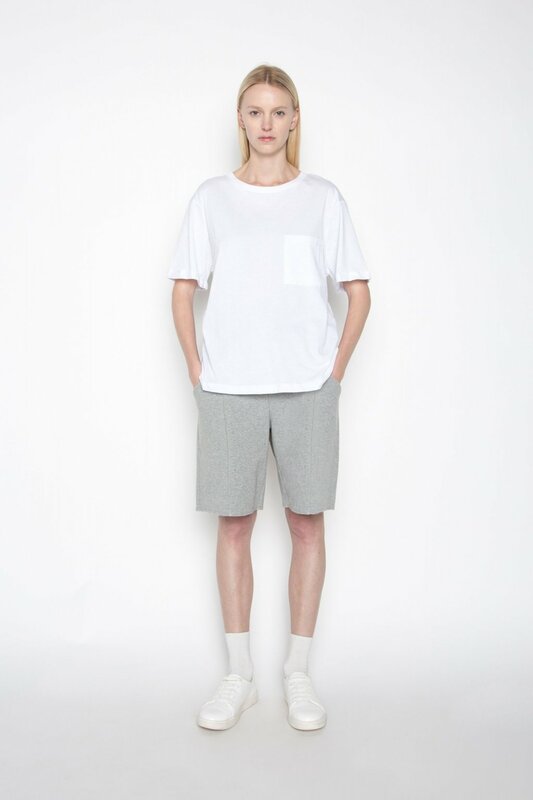 Style with mid-calf socks and crisp white sneakers for a sporty look.